Here in North Texas, we seldom get real cold weather. 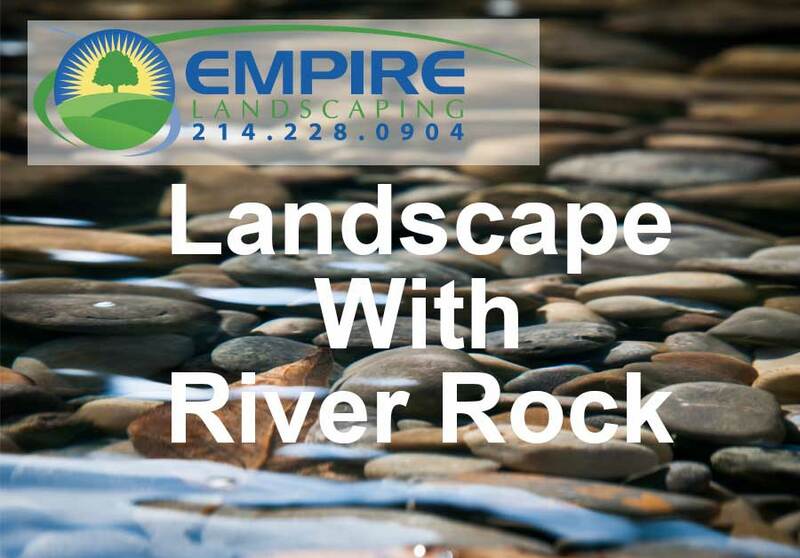 And these extended October warm temperatures have allowed Patrick Wilson and the crew at Empire Landscaping an opportunity tackle even more projects. 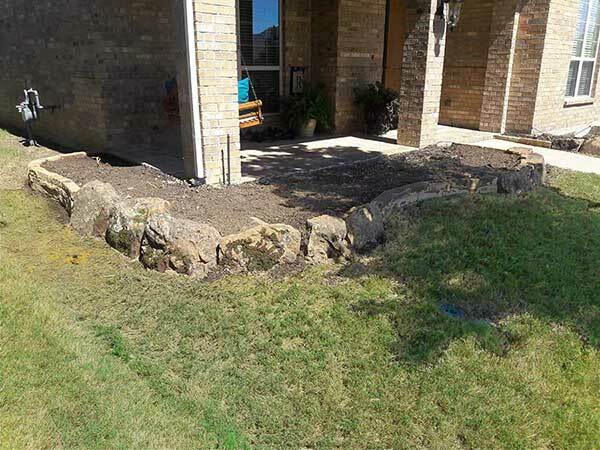 This family in Sachse liked the look of previous work that Empire had done with boulders and Oklahoma Chop Stone and wanted to incorporate the same kind of natural feel in their home landscaping. 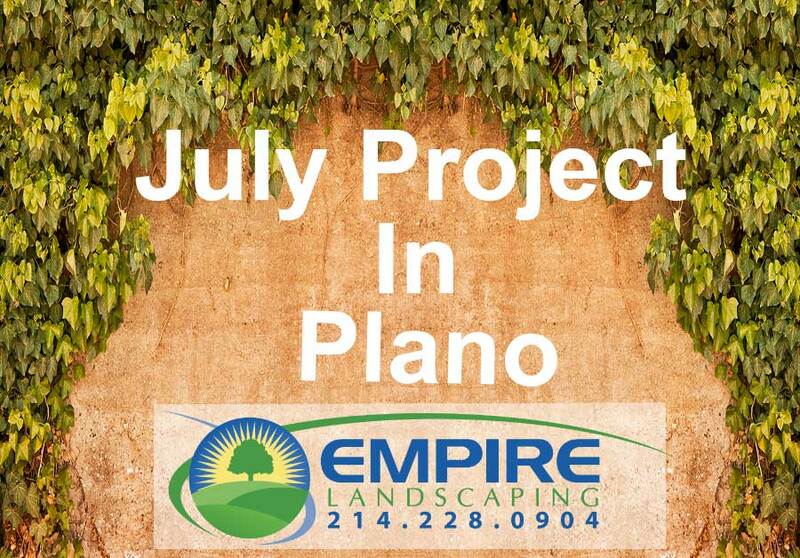 After meeting with the family and outlining some options, they found a design and a budget they liked and work commenced. 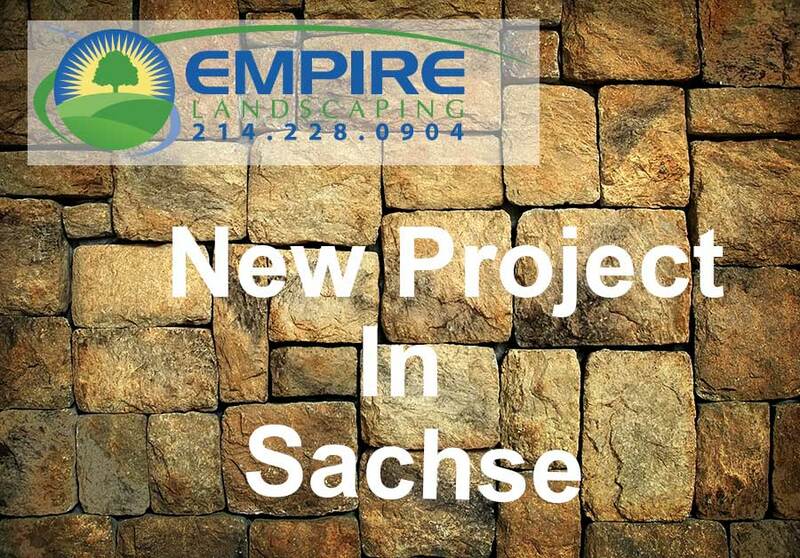 This project will end up having a couple of phases that we will highlight as they are completed. 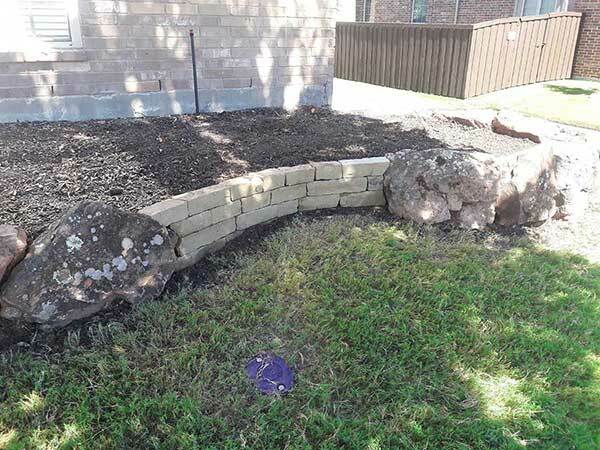 To start, Patrick helped guide the homeowners to just the right balance of free-form boulders and cut stone that presents a more uniform appearance. An added benefit to the design using two different materials is the subtle variations in height of the borders. 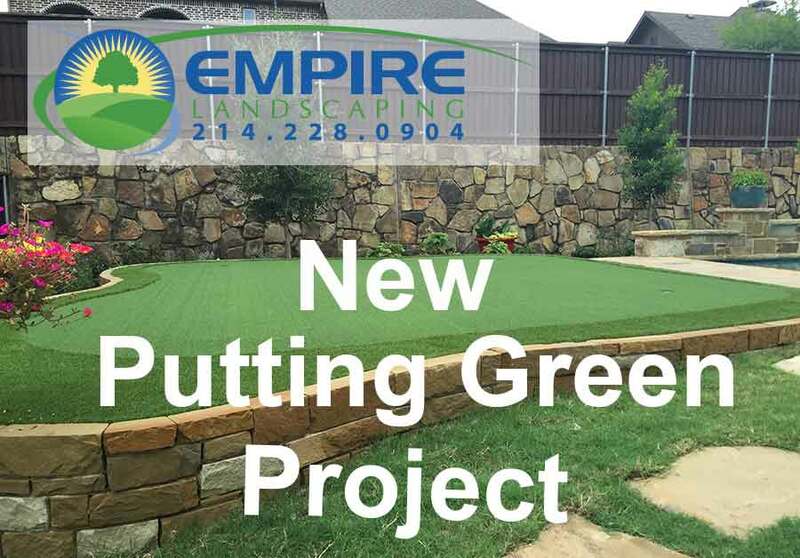 When Spring arrives, this will enable the homeowners to utilize plants & other greenery of varying height to add more visual interest and appeal. The natural form of the mossy boulders interplay very well with the neighborhood trees and accentuate some of the shade areas that exist in the yard. 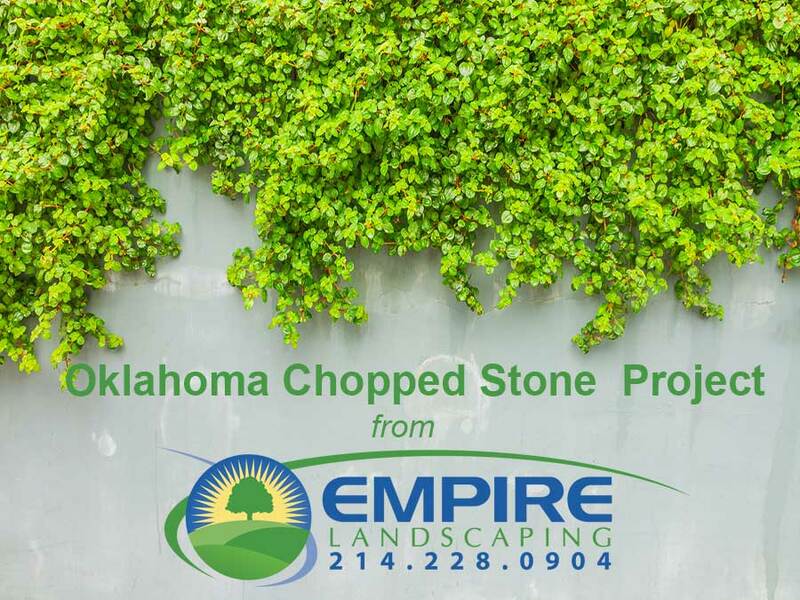 Patrick was able to incorporate a design with the Oklahoma Chop Stone that matches the color palate of the home and supports the brick exterior’s linear visual cues by utilizing dry stacking. 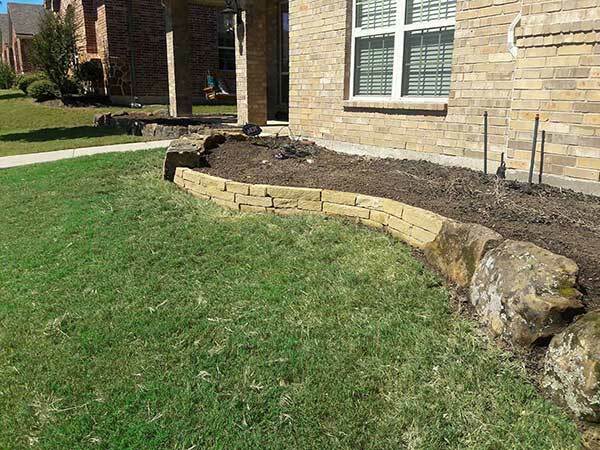 Once completed, these planting beds will allow for the use of different types of greenery, both shade tolerant and sun-seeking without sacrificing any visual continuity.